Has there been another “Phantom” update? SEOs are buzzing in the belief there was, even though Google is denying anything has happened. On November 19, 2015, there were unconfirmed reports of a Google search ranking update. Google’s John Mueller said on Twitter that Google had nothing to announce, adding that Google makes hundreds of changes per year. Maybe Google made a big change and isn’t saying. Maybe Google did make one of those hundreds of changes always going on, which has shifted results noticeably for some. Or maybe nothing major really has happened, which is why Google has no news. My view, as a close watcher of these things, is that it probably isn’t a Google Panda or Google Penguin update. Mueller probably would have said if it was either of those, as Google has typically confirmed them. So was it a change to the main algorithm? It could be. We have had a number of other changes that it has eventually confirmed. In May, Google confirmed the Quality Update about two weeks after it was first noticed. Because of the delay, and no one really knowing what it was about, it became known as the Phantom Update, as dubbed by Glenn Gabe, who wrote one of the first pieces about it. Actually, Gabe called the May 2015 update “Phantom 2,” assuming it was a repeat of an unconfirmed update that happened in 2013, which he called Phantom (making that Phantom 1). In reality, we don’t know that the same exact part of the algorithm that may have been changed for Phantom 1 was again shifted for Phantom 2. They could be completely different. The only thing in common is that they have the “Phantom” name because initially, no one knew what they were involving. As said, Google eventually confirmed that Phantom 2 was what it calls the Quality Update. With the latest reports of a change, has a new Quality Update happened? No one knows. There’s just plenty of evidence, as well as case studies and chatter within the industry that something began happening from November 19 onward. Given the mystery, some are calling this Phantom 3, such as Gabe in a new post or in another post by Marcus Tober of Searchmetrics. Both provide incredible detail into sites that were impacted, how they were impacted and theories on why they were impacted. Both seem to argue that the latest update is about quality, giving a sense that Phantom 3 is, in fact, Quality Update 2. Phantom 3 (Nov. 2015): Unconfirmed by Google, suspected to be effectively Quality Update 2. 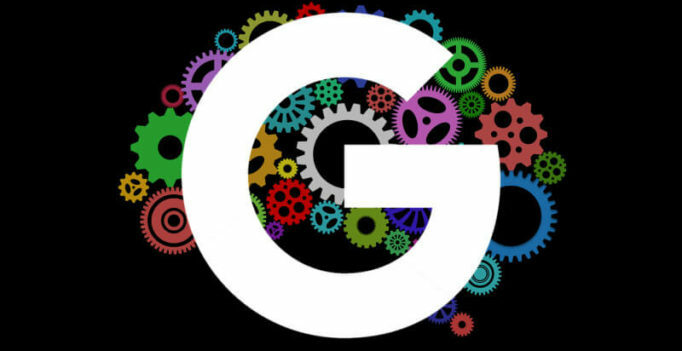 And just to add more confusion, in June, Google did confirm another algorithm update. No one called that “Phantom,” nor did Google give it a name or explain what it was about.